OSG's DOW department has a team of 60 qualified archivists. OSG has been asked to advise the government on commercial archive policy. OSG ensures you comply with laws concerning documentation and archive. Keeping your archive is the best order ensures you will have fast access to important information. Intelligent indexing and cataloguing prevents lost files. Keeping your ever-growing document archive in good order is vital for your business. The key is to label and index files clearly so you can find and retrieve individual items instantly. OSG’s expert cataloguing and indexing service means you can have it done professionally, whatever size of archive you have. OSG specialists use barcode technology to label and re-pack your files in logical order. Important file details such as date, subject, department and content description are entered on to a new database. This means you can make fast searches and retrieve individual files with the click of a mouse. OSG transforms your archive in to a valuable resource, enabling your company to perform more efficiently. This service is extremely useful when you move your paper documents to OSG's secure storage facilities for the first time. 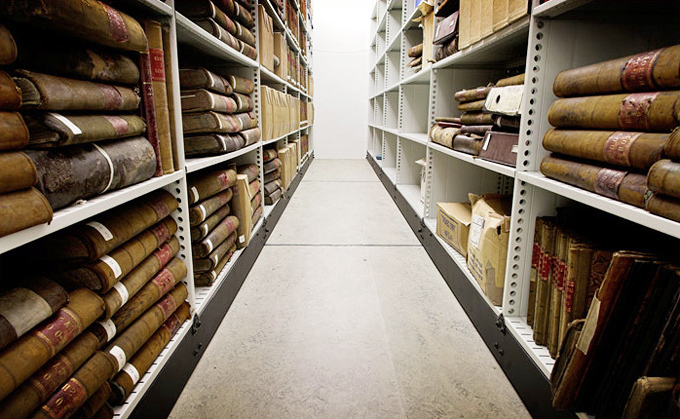 Our expert team catalogues and indexes even the largest of archives in no time at all. OSG also offer photo cataloguing. A digital photo is taken of labels / cover pages of your original files. The images are placed on a database so you can view them and order retrieval. It is useful for complex hand-written files.